Pammy Blogs Beauty: Your Perfect Shower Accessory: Olay's NEW DUO Dual-Sized Body Cleanser! 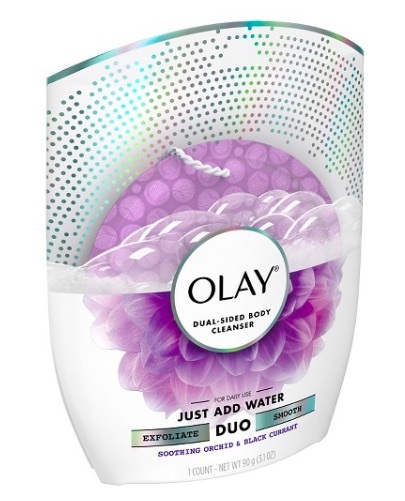 Your Perfect Shower Accessory: Olay's NEW DUO Dual-Sized Body Cleanser! Every once in awhile a super fun product comes around that just adds that little perk in my morning routine. For me, that is my recently discovered Olay DUO Dual-Sided Body Cleanser! What can I say, my morning shower is my "me time" it is that 10 minute experience to just pamper myself before my day begins and before the "Mommy" demands begin. Anything that I can do to either pamper myself in the shower and/or save time, is a plus in my book! 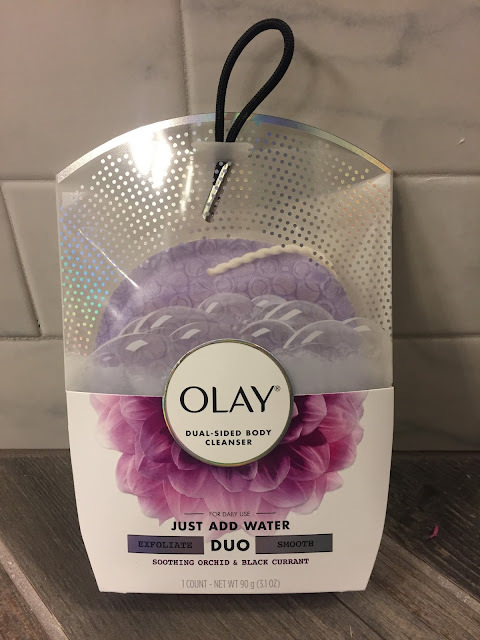 The Olay DUO accomplishes both: the scent is intoxicating and the 2-in-1 feature really is a timesaver. Plus, it is soothing to use! I am an admitted "dual user"...I tend to use BOTH bar soap and body washes in the shower. According to Olay, there are many other like me "out there": those of us who really like the clean feel of a bar soap but also enjoy the caring and soothing benefits of a body wash. Well, Olay has attempted to get the feel of both a bar soap and a body wash into one unique product: the Olay Duo Dual-Sided Body Cleanser. DUO unites the clean of a bar, the care of a body wash and the experience of a puff/implement, giving consumers the multi-sensory experience they desire for the best of all worlds. DUO is a breakthrough dual-sided cleaning tool infused with a flexible cleaner inside. 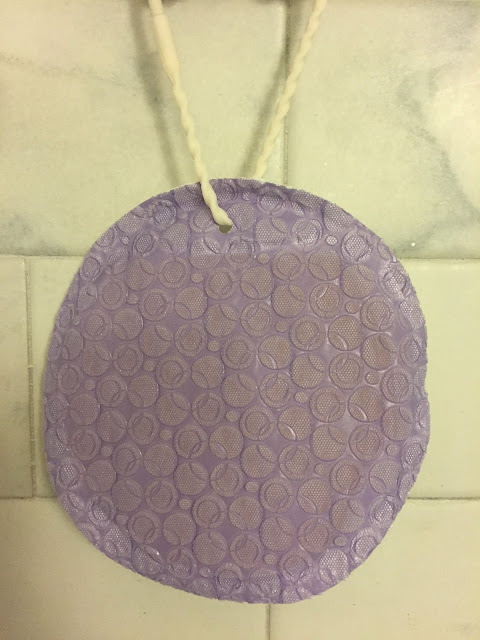 The scrubby side exfoliates and renews skin surface, the soft flexible cleanser interior conforms and lathers, and the smooth side softens and conditions. The result is a deep, refreshing clean for noticeably invigorated, soft skin. The DUO is just so simple and easy to use! I really enjoy using the DUO in the shower and will admit that I am fully hooked to both the scent and the experience! Just try it! I am sure you will love it, too.